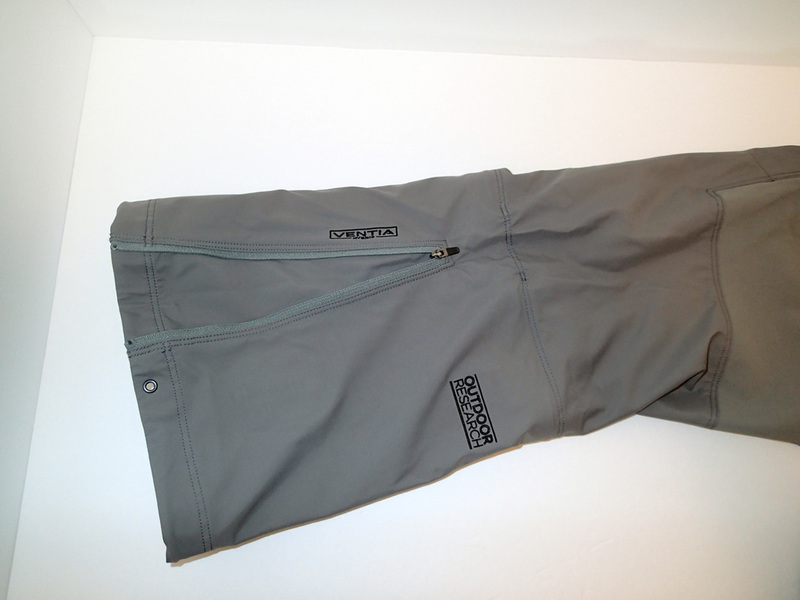 The Outdoor Research Trailbreaker Pants™ feature IFMGA guide requested functionality. The adjustable waist features belt loops and accepts accessory suspenders. The TrailBreaker Pants™ feature snap and zipper fly, plenty of pockets, including knee pad pockets. 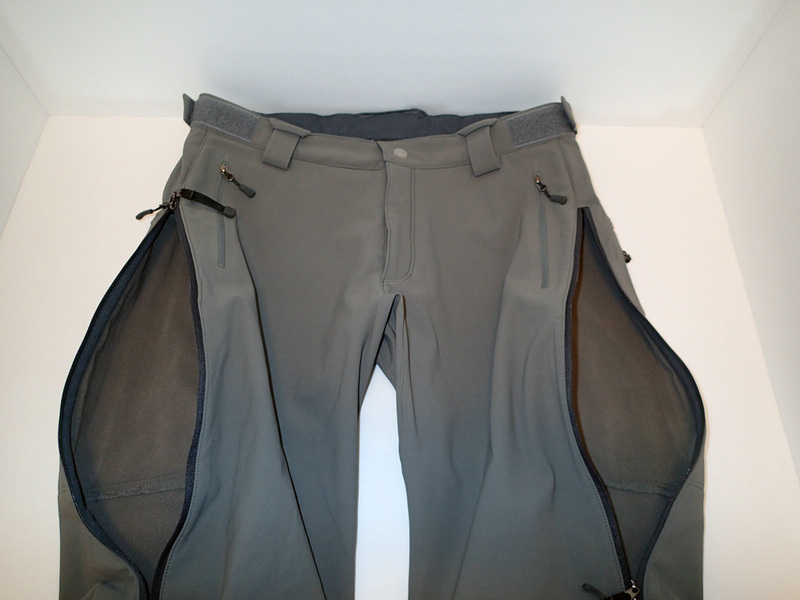 The internal mesh gaiters can be zipped in and out and instep grommets are featured at the bottom of the legs. 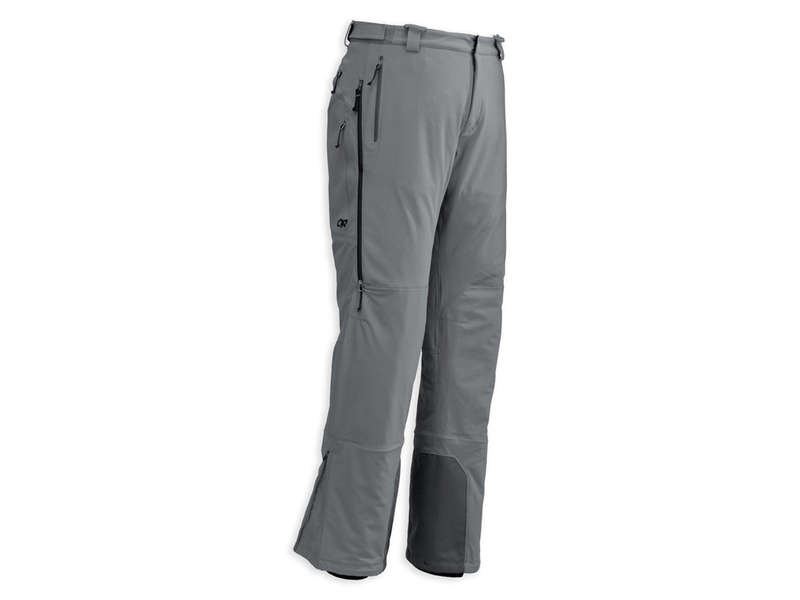 Ski mountaineering and alpine touring require a special kind of pant. 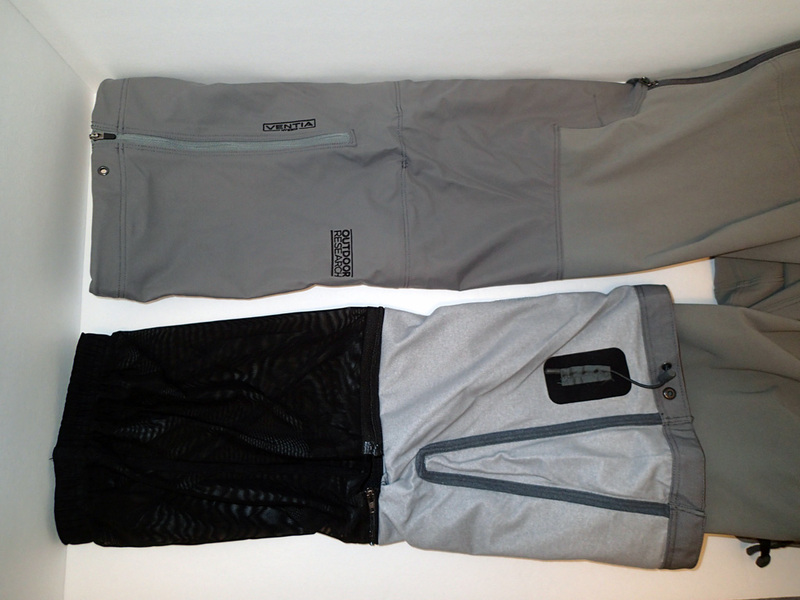 The Outdoor Research TrailBreaker Pants™ might be just such a pant. I have often struggled with other soft shell pants, missing features such as long thigh vents to prevent overheating and plenty of pockets. The TrailBreaker Pants™ have all the features I need to be comfortable on an all day or multi-day climb and should be equally at home resort skiing. I love the hybrid design with waterproof lower legs. I have often been skiing and snowshoeing in wet conditions where my lower legs tend to be subjected to lots of wet snow. I usually wear hard shell pants in these conditions, but the TrailBreaker Pants™ should be ideal. 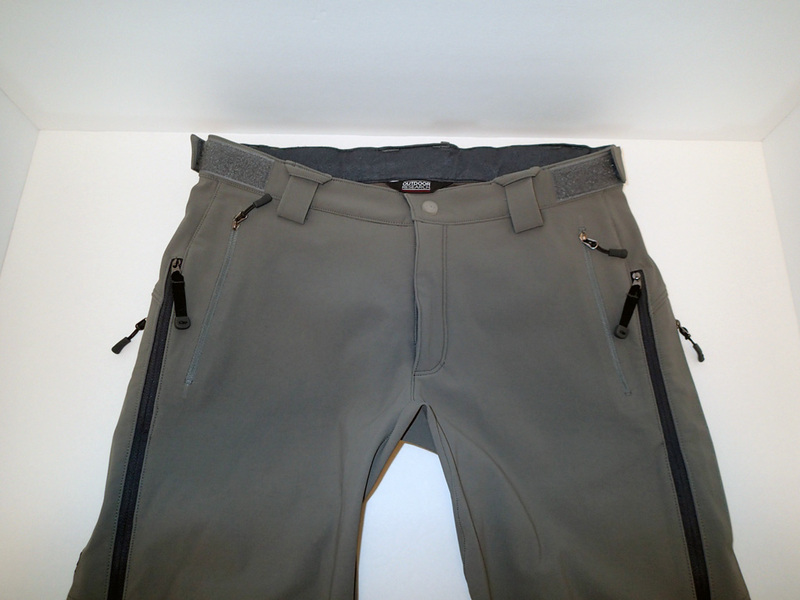 The TrailBreaker Pants™ in size medium fit my 31" waist loosely. The two waist adjustment straps tighten the pants without bunching for the perfect fit. I normally wear jeans with a 34" inseam and find the length of the TrailBreaker Pants™ to be just right for backcountry adventures. The pants feel a little stiffer overall than a standard pair of soft shell pants, but not in an uncomfortable way. 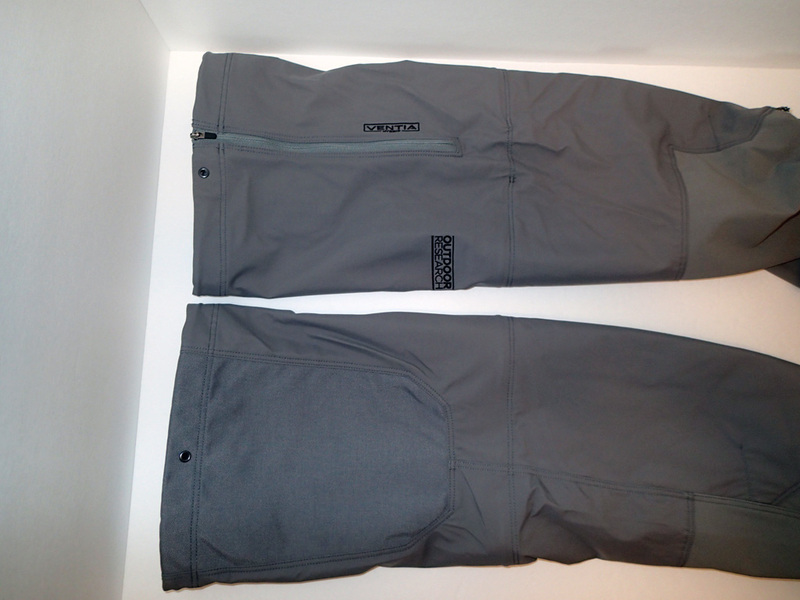 The ankle zips work great, allowing the pants to fit over my ski boots. The integrated gaiters are easy to stretch over my boots as well. 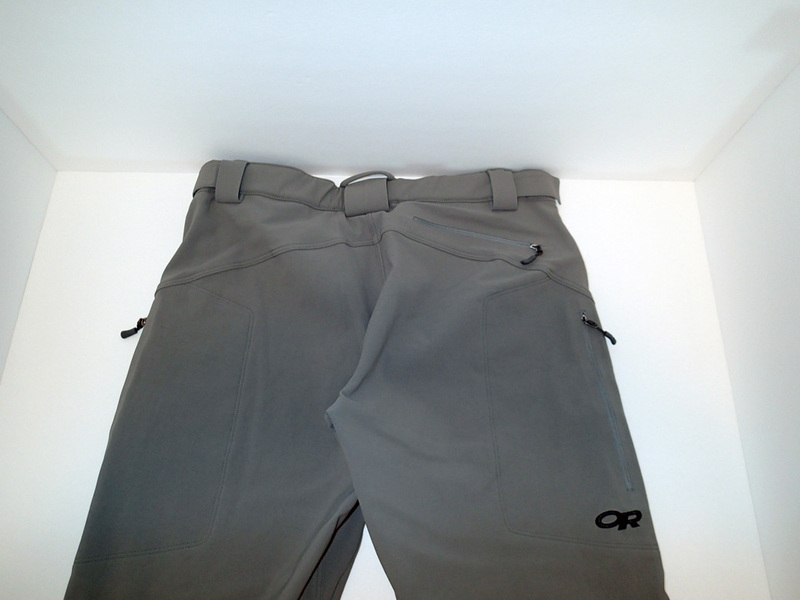 Overall I am very happy with how the TrailBreaker Pants™ fit and look forward to skiing in them this season. They should work great for climbing too. The reinforced ankle scuff guards should resist rocks, light crampon brushing, and snowshoes. With the freedom of movement of a soft shell, superb venting, and combination of waterproof lower legs, the Outdoor Research TrailBreaker Pants™ are sure to become one of my favorite pieces of gear. My first use of the Outdoor Research TrailBreaker Pants™ was on a stormy wet day skinning up Boyscout Ridge on the South side of Mt Hood. I found them very comfortable and did not notice the slight stiffness I felt while trying them on at home. They worked great over my AT ski boots, with the integrated gaiter easily stretching over my boots to keep snow out. That was a blessing as I sunk waist-deep in powder several times. Besides the great material, the long thigh vents are my favorite feature. I was able to easily regulate my temperature and remain more comfortable skinning up the ridge. The array of pockets worked great, keeping many small items close at hand. The outer material did a great job keeping me dry all day despite the unforecasted constant light drizzle we experienced. Normally I would wear a hard shell in such conditions, but the TrailBreaker Pants™ performed just as well and with much greater comfort. See Boyscout Ridge adventure where the Outdoor Research TrailBreaker Pants™ were used.